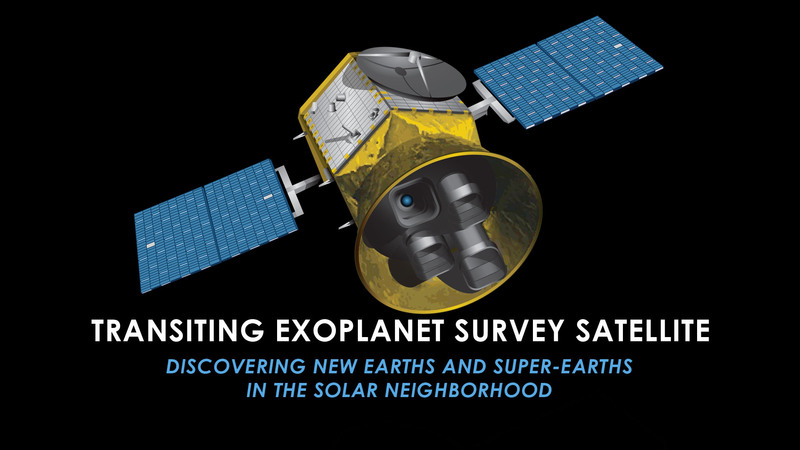 NASA’s Transiting Exoplanet Survey Satellite (TESS ), planned to be launched in August 2017 on a SpaceX Falcon 9 rocket from the Cape Canaveral Air Force Station, Florida, is designed to discover thousands of exoplanets. Led by the Massachusetts Institute of Technology (MIT), TESS will focus on stars 30-100 times brighter than those surveyed by the Kepler space telescope, thus, the newly-discovered planets should be far easier to characterize with follow-up observations. NASA assumes that approximately 500,000 stars will be studied, including the 1,000 closest red dwarfs, across an area of sky 400 times larger than that covered by Kepler. The agency estimates that TESS will discover more than 3,000 transiting exoplanet candidates, including those which are Earth sized or larger. So is it a revolution in exoplanet hunting? David Charbonneau, an astronomer at the Harvard-Smithsonian Center for Astrophysics, whose research focuses on exoplanets, thinks so. “I do think TESS will have a huge impact,” he told SpaceFlight Insider partner astrowatch.net. Previous sky surveys with ground-based telescopes have mainly picked out giant exoplanets. In contrast, TESS will examine a large number of small planets around the very brightest stars in the sky. TESS will record the nearest and brightest main sequence stars hosting transiting exoplanets, which will forever be the most favorable targets for detailed investigations. Exoplanet candidates could later be investigated by the Automated Planet Finder telescope, the HARPS spectrometer and both the future ESPRESSO spectrometer and James Webb Space Telescope (JWST ). The development team at MIT has suggested that the first manned interstellar space missions may be to planets discovered by TESS. “The TESS team currently predicts that TESS should find a handful of Earth-like planets – e.g. the same size and temperature – that transit, and hence perhaps would be accessible to spectroscopic studies of their atmospheres with JWST or the next generation of Extremely Large Ground-Based Telescopes,” Charbonneau said. 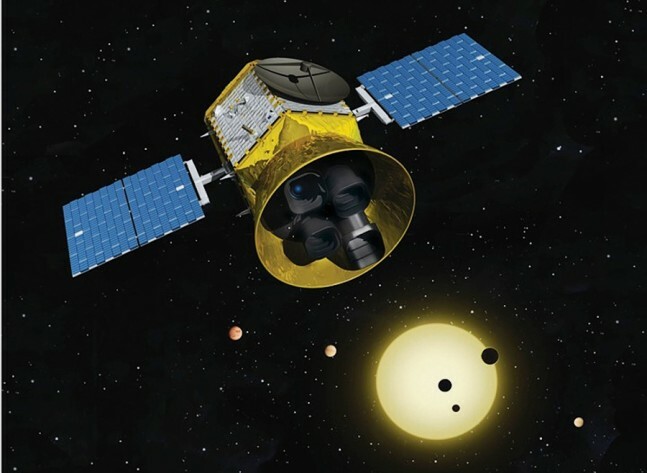 TESS is designed to carry out the first space-borne all-sky transiting exoplanet survey. It is equipped with four wide-angle telescopes and associated charge-coupled device (CCD) detectors. Science data will be transmitted to Earth every two weeks. Full-frame images with an effective exposure time of two hours will be transmitted as well, enabling scientists to search for unexpected, transient phenomena, such as the optical counterparts to gamma-ray bursts. The Kepler project has provided ground-breaking new insights into the population of exoplanets in our galaxies; among the discoveries made using data from Kepler is the fact that the most common members of the exoplanet family are Earths and Super-Earths. However, the majority of exoplanets found by Kepler orbit faraway, faint stars. 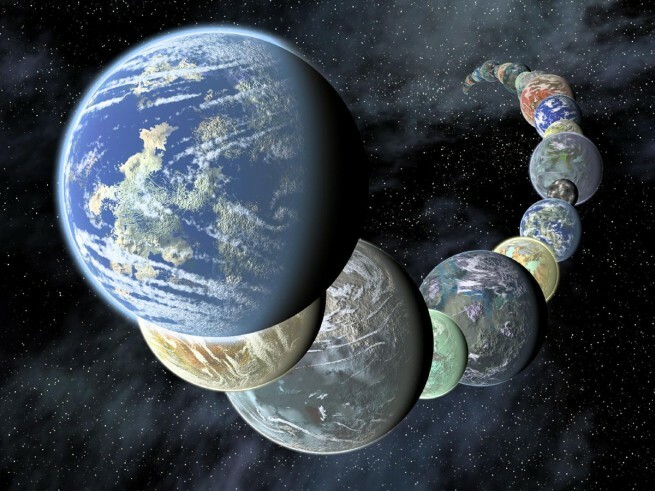 This, combined with the relatively small size of Earths and Super-Earths, means that there is currently a dearth of such planets that can be characterized with follow-up observations. “Kepler taught us so much! TESS will find planets of nearly the size of Earth around stars all over the sky, including around bright stars. These bright stars allow us to study the nearly Earth-size planets in fine detail, a wonderful prospect!” said Geoffrey Marcy, Professor of Astronomy at the University of California, Berkeley, the world’s champion planet hunter, famous for discovering more extrasolar planets than anyone else. The lead institution for TESS is MIT, which hosts the Principal Investigator, Dr. George Ricker. The MIT Lincoln Laboratory is responsible for the cameras, including the lens assemblies, detector assemblies, lens hoods, and camera mount. NASA’s Goddard Space Flight Center provides project management, systems engineering, and safety and mission assurance. Orbital Sciences Corporation (OSC) builds and operates the spacecraft. The mission is operated from the OSC Mission Operations Center.